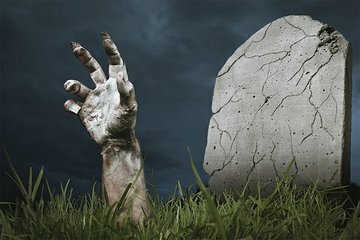 Hören Sie auf dieser 1,5-stündigen Geister- und Friedhofswanderung in Edinburgh verborgene Geheimnisse jenseits des Grabes. Wenn die Nacht durch Schottlands alte Hauptstadt fällt, folgen Sie einem Führer durch die Straßen und erfahren Sie die Geheimnisse der dunklen Vergangenheit der Stadt. Besuchen Sie Schauplätze, von denen angenommen wird, dass sie von Greyfriars Kirkyard und den Gewölben der Nidry Street verfolgt werden, und hören Sie von den unruhigen Seelen von Bettlern, Prostituierten und Hexen, die nachts durch die Straßen der Stadt laufen sollen. Vergewissern Sie sich während des Weges, dass Sie sich bei den Sichtungen der Ungestorbenen auf dem Laufenden halten. We learned so much from Ewan our guide on this walking tour. He is incredibly knowledgeable and SO funny, too bad there were a lot of uptight people in our group...we tried to laugh harder to make up for them. Great job Ewan, thanks for the stories that we already shared with other people while in Edinburgh! Highly recommend! We had a great time. Enjoyed both the tour and the vaults. Our tour with Auld Reekie Tours was fantastic. Our guide was super and really added life to the tour. I'm not gonna lie - it was pretty scary at times. Highly recommend though. The tour was very informative on the creepy history of Edinburgh and I enjoyed the little spooky feel. The guide was amazing : Thank you! A waste of time and money. Did not spend ten minutes in the graveyard and the underground vaults were under a bridge not underground. So sad that I can't remember the guide's name but I know she was originally from Norway, and she was just wonderful! She knew so much about the graveyard and vaults, and her delivery was fantastic! I was totally unprepared for how freaked out I would be in the vaults, but I still loved hearing the stories about the different encounters she had had or seen other people have. I totally recommend this company, the stone circle room is seriously scary. I decided to sign up for this tour because I wanted to experience Greyfriars Kirchyard at night and hear dark tales and to visit the underground city in Edinburgh. The tour was well worth the time and the tour guide was entertaining and informative. If you are planning on visiting Edinburgh I would give high recommendations to visit the Dark side of Edinburgh....if you dare. We were very disappointed as we had rushed to get to our meeting point for 8.pm to find a note saying that the tour had been cancelled !!! We were offered an alternative tour that night at 10 pm, we decided to take it but in all honesty wished we had just had a refund as it was a little disappointing.